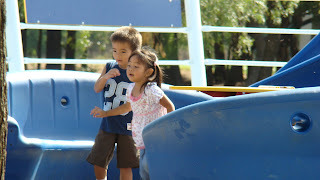 I like this picture of Samuel and friend Dayna while they were having fun at the park. The love to run around, slide and swing. They are so cute.